Here are some great tips for keeping your dog safe when disaster strikes from LoveToKnow's own Wendy Nan Rees. Will you be ready when a natural or man-made disaster happens? What a week I had last week living here in Los Angeles, California. Mother Nature hit, and we had the worst fire storms in the history of California. I was about eight miles away from the nearest one, and the boys and I were ready and packed just in case we had to leave. On the other hand, my uncle and aunt live in Malibu, and on the evening of Sunday, October 21st, they had to evacuate right away with four horses and four dogs. They were ready because they had a plan. They loaded the horses in their trailer and loaded themselves and the dogs in the truck and off they went to safety. Lucky for them, they realize they live in fire country and had an emergency plan in place. This is why I firmly believe and say to you all that it is better to be prepared than not. No matter where you live, it is always best to have a plan and know what to do in an emergency. As part of your overall family disaster plan, you should also include a disaster kit for your animals. You should have at least seven days worth of supplies, and given recent events around the country, some of my sources even suggest a two to three week supply. Leashes for all the family pets that can be leashed. 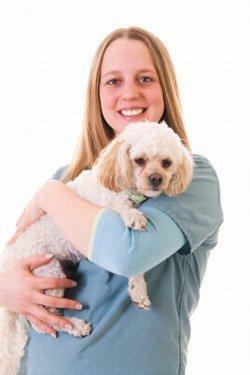 Sufficient medications for your pet for at least a week, and make sure your supply hasn't expired. Depending on how long you will be gone, you may also consider getting a prescription for additional medicines, just in case you have to go to another town and cannot get to your vet's office. You should also have enough food and water for seven days for your animals. You'll need one gallon of water per day per medium dog, and one quart per day for small dogs and cats. Make sure these items are packed for easy access along with your pets' dishes. Don't forget a can opener. Food and water should be stored in watertight containers and should be rotated to keep it fresh. Make sure that your pet carriers are readily accessible. You should have recent photographs of all your pets in the kit. This helps shelters identify them if they become lost and happen to be picked up by animal control. Include a list of friends, veterinarians and kennels where your pets can stay during a disaster. Pack their first aid kit, blankets, towels, muzzles for an emergency. Pack a pooper scooper and plenty of plastic bags for pet waste. Include a battery operated radio, in case of a power outage or you wind up somewhere without electricity. Don't forget gloves, both rubber and leather work gloves. You'll also want to include rope, waterproof nylon and/or plastic sheeting in 12 foot lengths. You never know if you'll need a water barrier from wet ground. All of the above items should be stored in a plastic tub, somewhere near the door. Make sure your dog has a collar and an identification tag that has their name, your name and phone number on it. Include the phone number of an out-of-state friend or relative who can be contacted in case your phone line is out. Consider having your pet permanently identified with a tattoo or microchip. If your pet becomes lost, periodically check with your out-of-state friend/relative in case they get any news from any authorities who may have found your pet and called them. If your pet is lost, post pictures and/or flyers and constantly check with all shelters within a twenty mile radius. Make sure your gas tank is always at least half full, and remember to evacuate early and take your pets with you. If you have larger animals, make sure your trailer is in good condition and stocked with their appropriate food needs. After a rainstorm, make sure you empty all containers where water may have collected so they don't become a stagnant breeding ground for bacteria, protozoa and mosquitoes. I learned to be prepared the hard way after the earthquake of 1994. We were safe after the quake hit at 4:30 a.m., but the dogs sensed the quake ahead of time and had run out of the bedroom before it hit. They were hiding under the table when we found them. We did not have power or water for three days, but lucky for me there was a small local market still open next to my house. However, I had learned a great lesson: Be ready at all times! I have had my emergency kit ready to go from that time on. I hope these safety tips help you to be prepared now, and that you never have to learn the hard way as I did.